Posted by Teresa Mihelic HelpDesk on Monday, February 4th, 2013 at 3:28pm. Looking for some really yummy food around South Orange County? 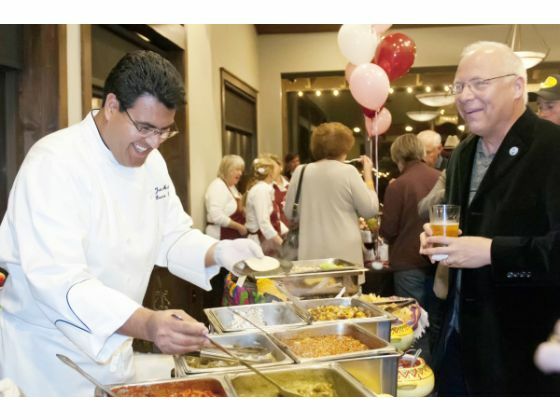 The San Juan Capistrano Fiesta Association will host its annual Taste of San Juan this upcoming Tuesday February 12th 2013 from 6:00pm to 9:00pm. More than twenty local restaurants will showcast their best foods, in this great event that includes music and dancing. Some of the restaurants that will be in the event include: RokPrime Steakhouse, Sundried Tomato Cafe, Ricardo's Place, The Vintage Steakhouse, El Adobe, Mission Grill, Donna B's etc. The ticket doesn't include drinks, but the San Juan Hills Golf Club will honor its happy hour prices throughout the evening. All the participant restaurants will receive votes for : Best Main Course, Best Original Dish, Best Appetizer and Best Dessert. This event, is a fundraiser event that benefits the all volunteer San Juan Capistrano Fiesta Association - which are notable for organizing the Swallows Parade and Fiesta. The Parade will be on Saturday March 23rd this year. The Kids Pets Parade: February 24th at Zoomars Petting Zoo. Restaurant Week: February 17th to the 24th. Restaurants from the Taste of San Juan will have $10 lunch specials and $20 dinner specials this week. Fiesta Grande: March 20th from 6-9pm at The Swallows Inn. Wild West Entertainment Night. Swallows Day Parade: March 23rd, the 55th Annual is part of the Fiesta de las Golondrinas, San Juan Capistrano's biggest event of the year.